In a hectic, volatile, complex, and uncertain world, being mindful is a challenge. Rather than experiencing the present, we tend either to dwell in the past, ruminating about the things we should have done, or in the future, worrying whether we will achieve the goals we think are necessary for our success and happiness. Meanwhile, in the present, we are endlessly stimulated by electronic devices, always-on social media, and a limitless supply of distractions that keep us from our priorities. Mindfulness may be just the remedy you've been looking for. Come and take a pause from the busyness and stress of your everyday lives; learn about the benefits of finding some calm within; and practice some mindfulness techniques that you can take home with you as your own personal antidote to stress. How they balance work and personal life in ways that work for them. How taking an intentional approach and paying attention to their values has improved their careers, relationships, and personal wellness. How they deal with stress and remain resilient in difficult times. How they manage to find a sense of calm and stay focused despite demanding roles and many potential distractions. How they don’t allow work to completely crowd out pursuits that bring them pleasure and happiness. Alison (Ali) Farquhar will lead the workshop and participate in the panel discussion. Ali is Principal of GTL, a leadership development consultancy that partners with senior executives and their teams to build insight into what has made them successful and what keeps them from their full potential. Ali works as a peer-to-peer thinking partner, supporting and challenging leaders to reflect on their impact, clarify their vision, and develop a roadmap for growth. She provides an active sounding board as they challenge old assumptions, deepen their self-awareness, and develop into more fully rounded leaders. Ali holds an MBA from INSEAD, France, and is a Certified Executive Coach trained at the Massachusetts School of Professional Psychology. She has partnered with large and small companies across a broad range of industries in Europe and North America. Today, she works primarily in healthcare and the life sciences, helping clients lead effectively in complex, fast-moving environments. Alice Koehn Benson is the President and CEO of Gatti & Associates. She oversees the growth of this mid-tier national executive search firm. Prior to joining Gatti & Associates, Alice led the Boston office for a global search firm, Coulter Partners, focusing on the Life Sciences sector. Previously she was President of Prestonwood Associates, leading it to be a recognized search leader focused on the Technology and Innovation, Healthcare, and Life Science sectors. Her decade at Prestonwood included conducting searches for major Bio-pharma, Medical Technology, CRO, Health Care Services and Technology clients. Alice is committed to extending her corporate experience to various community causes and recently gathered a diverse group of community leaders to found the Weston Community Health Coalition, an organization that develops resources and solutions for the wellness needs of the youth and elderly. Alice sits on the Board of WEST, Women in the Enterprise of Science and Technology and the Board of the Weston Council on Aging. Alice also has volunteered extensively in the local schools. Rebecca Sendak, Ph.D., is Vice President within R&D in the area of biologics drug development at Sanofi in Framingham, MA. Rebecca received her doctorate in biophysical chemistry from Cornell University. Prior to her 15 year tenure at Sanofi/Genzyme, she worked at Creative Biomolecules in Hopkinton, MA, in the area of drug discovery. 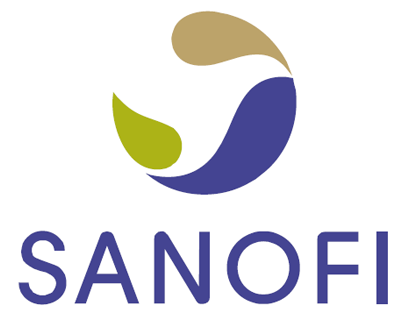 Presently, within Sanofi Rebecca leads a group responsible for developing formulations for drug candidates in Phase 1 and 2 clinical studies, and for the development of the analytical methods used to support release and stability testing of these therapeutic candidates. She has also held multiple roles within product development teams, including Chemistry, Manufacturing and Controls (CMC) team leader, Science Project Leader and currently, Global Project Leader. In addition to her day job, she collaborates with MassBay community college on a mentoring program, pairing Sanofi/Genzyme employees with students in STEM areas. Personally, her children, Laura (7) and Stephen (8), provide a wonderful balance and perspective, as well as serve as excellent role models for living in the present. Mari Anne Snow is Principle and Founder of SophiaThink Consulting, a full-service digital strategy firm based in Boston. Two years ago, Mari Anne launched a second company, Sophaya, which provides specialized professional development training to companies with remote workers and global virtual teams. A former professor of eBusiness at Bentley and Suffolk University, Mari Anne is currently working with Bryant University’s Executive Development Center located in Smithfield, RI to launch a series of innovative professional certificate programs designed specifically to provide today's leaders with the special skills they need to lead highly productive virtual teams. Before launching her own business in 2009, Mari Anne was a senior executive at State Street, a Boston-based international financial services firm. Mari Anne is a firm believer that work/life balance is an elusive myth. Work/life integration is a more realistic solution in today's global world. Michelle Quinn Smith will moderate the panel discussion. Michelle is the Senior Director - Human Resources, Global Medical Affairs, Research & Development at Genzyme, a Sanofi Company. She graduated from Chestnut Hill College in Philadelphia with a Bachelor’s Degree in History. She has held various positions of increasing responsibility with Goldman Sachs, Young & Rubicam Advertising and PerSeptive Biosystems prior to joining Genzyme in 2001. During the past 14 years, she has supported various groups within the organization including Preclinical Development, Finance & Accounting, Information Technology, Business Development and Global Product Quality. She returned to support R&D in 2013 following a leadership rotation with the Sanofi GSD HR group. She is a member of Genzyme’s HR Leadership Team and the Global R&D HR team. She is the mother of three children – Cullen (18), Nolan (16) and Kailey (10) and she spends her “free time” either in a hockey rink, or as an elected member of Framingham’s Town Meeting and is an avid knitter (usually at both venues). We appreciate Sanofi & Genzyme, a Sanofi Company, for sponsoring this event.